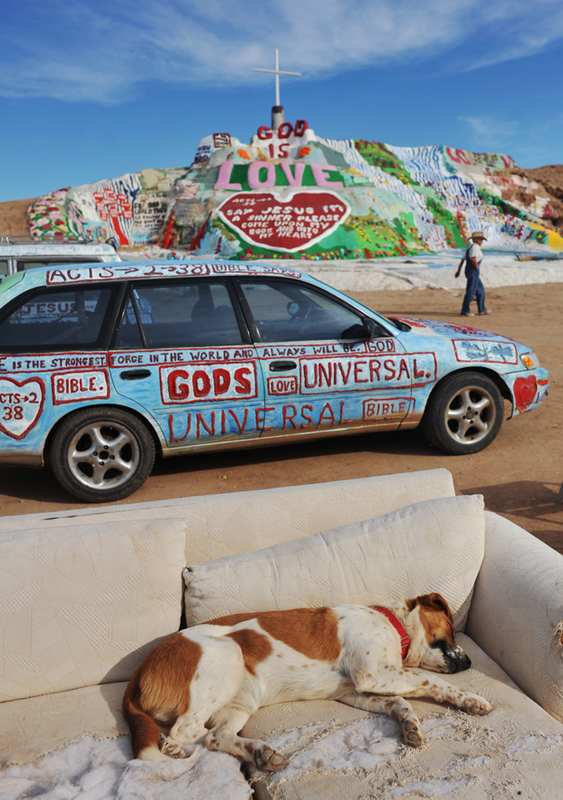 Salvation Mountain in Slab City, Niland, 2 miles southeast of the Salton Sea with Leonard Knight's dog. It is an epic colorful art installation which conveys the message that "God Loves Everyone." The mountain has become a kind of piligrimage site. As many as 50 people a day visit this site. In 2002, Salvation Mountain was placed under protection when California Senator Barbara Boxer entered it into the Congressional Record as a national treasure.